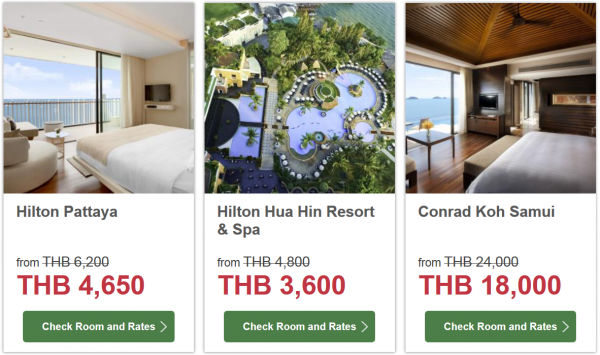 Hilton has launched new “Discover Thailand” 25% off of the Best Available Rate sale for stays until April 15, 2015. that must be booked by November 30. All the Hilton properties in Thailand are participating to this sale but there could be property specific blackout dates during the high season. You can access Hilton’s web page for this sale here. I have seen rates here less than 3,000 THB. You should be able to do better for lower rates at this property. 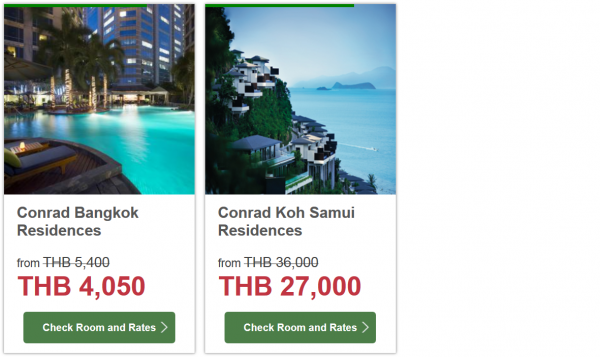 The rate is the same as for Conrad Bangkok! This is a good rate for Conrad. The rates at this DoubleTree property are usually very low and no exception during this sale either. Hilton properties, as is the case with mist chains, in Thailand tend to be very good compared to properties in Europe and North America. You should check the rate sunder this offer and book if they fit your budget. 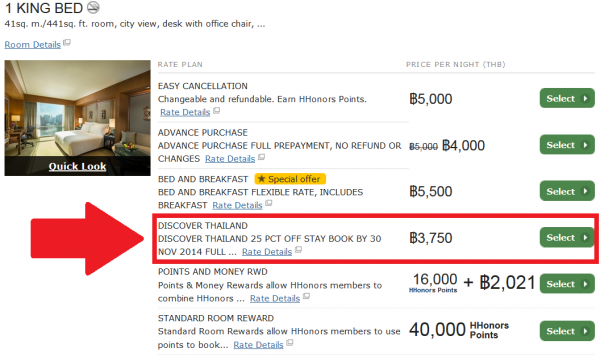 Offer valid at 11 participating properties in Thailand between 10 October, 2014 and 30 November, 2014 for bookings made between 10 October, 2014 and 30 November, 2014 and completed between 15 October, 2014 and 15 April, 2015. Blackout dates may apply and vary. Offer is subject to availability. Rates are valid for single/double occupancy and do not include taxes, gratuities or other incidental charges. Five (5) days advance reservations required. Full non-refundable prepayment required at time of booking. Your credit card will be charged immediately for the total amount quoted for the entire stay as reserved and refunds or credits will not be issued unless otherwise indicated by local law. Charges cannot be applied to other stays, services or merchandise. Booking cannot be changed. Discount is 25% off Best Available Rate for all room types. This offer may not be combined with any other promotions, offer or discounts and is not valid for existing reservations or groups. Offer components are non-transferrable or redeemable for cash, and cannot be used during future stays. No credits or refunds are permitted for unused benefits. Hilton HHonors membership, earning of Points & Miles®, and redemption of points are subject to HHonors Terms and Conditions. The Best Available Rate is a specific rate type that varies depending on time of purchase, is unrestricted, non-qualified and excludes discount or negotiated rates not available to the general public, including, but not limited to: membership, corporate, government, promotional, group, packages, unpublished or rates only available on auction websites.